Subsequently, assessments of actual external radiation doses with individual dosimeters and surveys of internal radiation doses according to whole body counters on-site for internal cesium as requested by residents are continuing in the communities of Minami Soma, Koriyama, Iwaki, Fukushima city, and Aizu. Assessment results revealed external doses of prefectural residents to be 10 mSv or less annually, a large majority to be 5 mSv or less, and internal cesium doses to be less than 1 mSVvper annum. Compared to the Chernobyl accident that found max. 750 mSv, and 100 mSv per day for evacuees within 30 kilometers, Fukushima recorded levels of merely one hundredth. For their annual doses of internal cesium exposure, all 98 tested individuals had ultra-low doses of less than 1 mSv. These survey results in Fukushima Myth and Reality [translated title] were published by Iryokagakusha [Note 1] last year in July, and also presented to the Japan Radiation Research Society and Japan Health Physics Society. In May this year, the quadrennial IRPA 13 conference of the International Radiation Protection Association was held in Glasgow, in which I also participated [Note 2]. The English translation of the report, Fukushima Myth and Reality was distributed at the conference to experts attending from Europe [Note 3]. My presentation from Japan described the low doses caused by Fukushima radiation, while other presentations described the impact from the accident within their respective countries. The countries including Czech, France, Holland, Germany, etc., reported doses that had no causes for concern. Researchers of Malaysia and the U.S. also concluded that the impact to their countries was essentially zero. Experts worldwide already recognize that doses in Fukushima were low. At an international symposium sponsored by the National Institute of Radiological Sciences in July this year, a survey report on thyroid doses was made with the author also in attendance [Note 4]. The maximum dose was 33 mSv, or one thousandth of the maximum dose 50 Sv at the Chernobyl accident. Readers here may be able to imagine a difference in consumption risk between 5 grams versus 5 kilograms of table salt. Under the hypothesis of linearity in risk, the maximum estimated risk still indicates no manifestation of thyroid cancers originating from Fukushima Dai-Ichi Nuclear Power Plant. The hazard of radioactive iodine is already completely gone. Since the half-life is 8 days, any radioactivity now is less than one millionth of that released last year. The survey on this occasion was limited to cesium with a half-life of either 2 years or 30 years. Even those results for internal testing put Fukushima Prefectural residents at 1 mSv or less, for a zero health risk. Now in the second year since the disaster occurred, the author continues to survey the radiological hygiene of the subject area together with local wagyu ranchers by testing for internal cesium among surviving cattle. My ties to the area began through the chance encounter with Mr. Yukio Yamamoto, previous Namie-machi town council chairman, in April last year there. The purpose here is to establish realistically effective repatriation measures and dosage surveys with an eye toward recovery within the 20km radius, which the government has not preceded at all. The rebuilding of the wagyu beef business will become the breakthrough. For that, cesium levels must return to within the reference standards for shipments of wagyu beef and for human inhabitants. As a scientist who emphasizes on-site examination, an on-site survey was a matter of course for the assessment of actual radiation doses in habitat. Doses can be assessed through wearing of individual dosimeters under actual living conditions: the bulk of the day at home or in the barn, and the remaining hours outside on ranchland or environs. The latest portable gamma-ray spectrometers made in the U.S. were calibrated June last year for measurement per kilogram of body weight as human levels of internal cesium radioactivity (Becquerels = Bq). This is the third-generation model in my work. We have experiences on a portable whole-body counter used globally at nuclear disaster sites by using the previous spectrometers . The first challenge was to adapt it to measure large cattle, but the solution was found relatively quickly. We measured cattle weighing 400 kg on their backs, abdomens, and rear thighs, and concluded that the thighs were optimum [Note 5]. According to past evidence, the calibration constant for radioactivity per unit of body weight for humans is not affected much by body size. For human measurement, the detector contacts the abdomen, but for cattle, the closest arrangement was the thigh, which is rational for measurement since cesium accumulates in the muscles. Thus, cesium density could be measured within 1 minute for thigh meat, as live cattle. In this way, internal cesium was tested for cattle at three ranches respectively at short distances from each other. The test results through August for thighs of 27 head of wagyu breeds at the three Namie-machi ranches concluded that 9 head were below 500 Bq per kilogram. Internal cesium of the cattle declined in August, compared to the February-March timing. Wagyu beef shipments are deemed to be definitely possible in the future. Potassium radioactivity of dried seaweed is 1,600 Bq per kilogram, and cattle with lower radioactivity are living within the 20km radius of Fukushima Dai-Ichi. The radioactivity level per kilogram of 500 Bq is the guideline for food product regulations of the Nuclear Safety Commission prior to 3.11. Foolishly, the current DPJ government has taken the unscientific position of tightening the food production regulations below natural radioactivity to a maximum 200 Bq per kilogram. This situation was criticized at the IRPA 13 international conference. In March this year, cesium trial decontamination was conducted at the Suenomori ranchland of Namie-machi. Experience of overseas surveys led to the belief that topsoil to a depth of 10 centimeters should be scraped off, because elemental cesium has a characteristic of adsorption within topsoil to this depth. Three sites were roped off as 3 x 3-meter plots, whose topsoil was removed to the prescribed depth. The removed soil was bagged and temporarily stored outside of the plots. Topsoil cesium contamination density can be measured immediately with a gamma-ray spectrometer. Based on values from before and after decontamination, the average rate of cesium removal at the three scraped plots in the test was 94%, a sufficient result. The removal of topsoil across the entire ranchland would enable wagyu ranching to start immediately. Everyone was happy with the good results. Actual doses can be learned from an on-site survey of two nights and three days. The figures announced by the central government, however, are radiation doses calculated from air dose rates from fields without investigating actual doses of inhabitants, and are problematically in excess by a factor 4 to 5 of these actual doses. Families wishing to go home cannot do so under these assessments. Measurement results like a report card of a terrible underachiever are determining policy. Any student in my course would be getting failing marks. The individual dosimeter worn on my chest for 3 days and 2 nights during the March survey at Suenomori in Namie-machi registered 0.074 mSv, or 0.051 mSv per 24 hr. When the decay of the physical half-life (2 years and 30 years) for each of the cesium isotopes is considered, the cumulative dose for the entire calendar year 2012 living continuously and exclusively at Suenomori Ranch would be estimated at 17 mSv [Note 6]. Cesium tests for people commuting from temporary housing in Nihonmatsu five days a week to Namie-machi to care for cattle provided a result of 0.3 mSv for internal exposure, an extremely low dose. The total dose for internal and external exposure that would permit repatriation is 20 mSv max., according to the government. Decontamination of topsoil for the home and ranchland under the nation’s responsibility would bring levels below 5 mSv per annum immediately. Current policy has no scientific grounds. The government is simply neglecting the 20km radius. This neglect is the same for Iitate Village. Suenomori of Namie-machi surveyed by the author would be 96 mSv under the unscientific method of multiplying the government’s outdoor figure by total hours in a year. That result leads to the wrongful judgment that repatriation is impossible. Actually, people can return. The government is ignoring an application for this testing research, and creating a terrible situation of not fulfilling responsibility for a recovery. Despite this, the residents are advancing the project with me to voluntarily protect their homeland. I think my readers can understand the significance of such testing research and recovery measures. We need to deploy science in order to clarify matters within the 20km radius, criticize the foolishness on the part of the government, and push for corrections to the erroneous policy [Note 7]. Note 1. Jun Takada: original Japanese version of「Fukushima Myth and Reality」Iryokagakusha 2011. Note 2. Jun Takada:「In-situ dose evaluations for Fukushima population in 2011reveal a low doses and low dose rates nuclear incident」, 13th International Congress of the International Radiation Protection Association, Glasgow, 2012. Note 3. 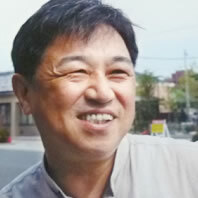 Jun Takada: 「Fukushima Myth and Reality」Iryokagakusha 2011. Note 4. Jun Takada:「Individual dose investigations for internal and external exposures in Fukushima prefecture」 The first NIRS symposium on reconstruction of early internal dose due to the TEPCO Fukushima Daiichi Nuclear Power Station accident, Chiba, 2012. Note 5. Jun Takada: 「On-Site Survey with Fukushima Livestock Farmers Reveal Nonsense of Noda Government’s “No Trespassing Zone”」Gekiron 4, Okura Publishing, 2012. Note 6. Jun Takada:「Ill Intent and Nonsense of Government’s Estimation: “Extreme Non-Science” Establishes “Repatriation Difficulty Zone”」 Gekiron 6, Okura Publishing, 2012. GEPR extends its respect and gratitude to Prof. Takada, who is active in the recovery of Fukushima. Prof. Takada also wrote the following column in February 2012.